The night sky over southwest suburban Lisle was aglow with hot air balloons Thursday night as the Eyes to the Skies Festival kicked off. LISLE, Ill. (WLS) -- The night sky over southwest suburban Lisle was aglow with hot air balloons. 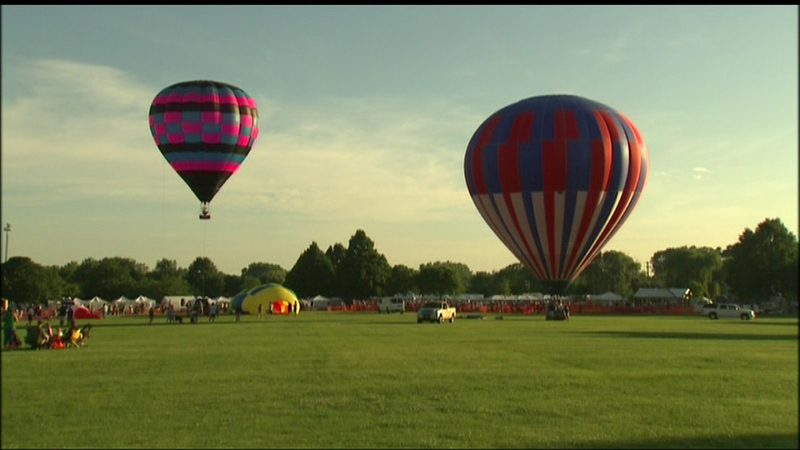 The annual Eyes to the Skies Festival kicked off Thursday. Besides getting up close to the hot air balloons, festival goers can also ride carnival rides and enjoy band performances. The festival runs through Saturday.